Undergoing any type of cosmetic procedure is not a decision to make lightly. While many people understandably focus on what procedure to get and the outcomes they hope to achieve, there is something much more important to consider: finding the right plastic surgeon. As a potential aesthetic surgery patient, you are trusting both your appearance and your long-term health to whatever doctor you select. It’s vital to carefully evaluate the surgeon and not make the decision lightly. You want the plastic surgeon you choose to be not only qualified and skilled, but distinguished – a proven talent in the field. Here are eight questions to ask to help you make this important choice. 1. Is the doctor board-certified to perform cosmetic surgery? Make sure any cosmetic surgeon you consider is certified by the American Board of Plastic Surgery, which is the only board recognized by the American Board of Medical Specialties. Why is it so important to choose a board-certified surgeon? Because any medical doctor is permitted to carry out any kind of surgery – so, for example, it wouldn’t be illegal for your gynecologist to give you a facelift. To earn board certification, a cosmetic surgeon must complete at least six years of approved surgical training – including at least three years of residency in plastic surgery – in addition to passing a comprehensive written exam and rigorous two-day oral exam in plastic surgery. Board-certified surgeons are also required to do continuing medical education and take a written test every decade. In addition to board certification, ask any cosmetic surgeons you are considering if they are members of professional organizations, or have published any articles about their areas of expertise. Any surgeon who is fully committed to the art and science of their craft will be passionate about learning new skills and keeping abreast of the latest updates in the field. 2. Is the surgeon experienced in the procedure you would like to undergo? Plastic surgery is a highly complex discipline that requires years of education and training. Not every physician is qualified or experienced in every procedure. Since cosmetic surgery is so highly specialized, many surgeons choose to limit their focus to a specific set of procedures. Ask any doctor you are considering how long they have been doing the type of surgery you’re interested in, as well as how often they perform it. A good rule of thumb is that he or she should have performed this type of procedure at least once a week over the past five years to keep their skills sharp. 3. Has this doctor produced excellent results for other patients? Once you have ensured your potential surgeon has the knowledge and skills to perform your desired procedure, you are well on your way to choosing the best doctor for you. However, he or she also needs to produce consistently outstanding results. When interviewing potential surgeons, ask them to share before-and-after photos of patients who have had the same procedure you are considering. Make sure the makeup and the lighting are the same in both pictures. Does this surgeon’s aesthetic approach line up with the goals you are hoping to achieve? Bring a selfie or two to your consultation so you can compare yourself to patients who have a similar bone structure, or who have come in with some of the same concerns you are hoping to address by getting a cosmetic procedure. 4. Do the surgeon and his or her staff make you feel comfortable? Your rapport with the surgeon and his or her staff will have an enormous effect on your overall experience. 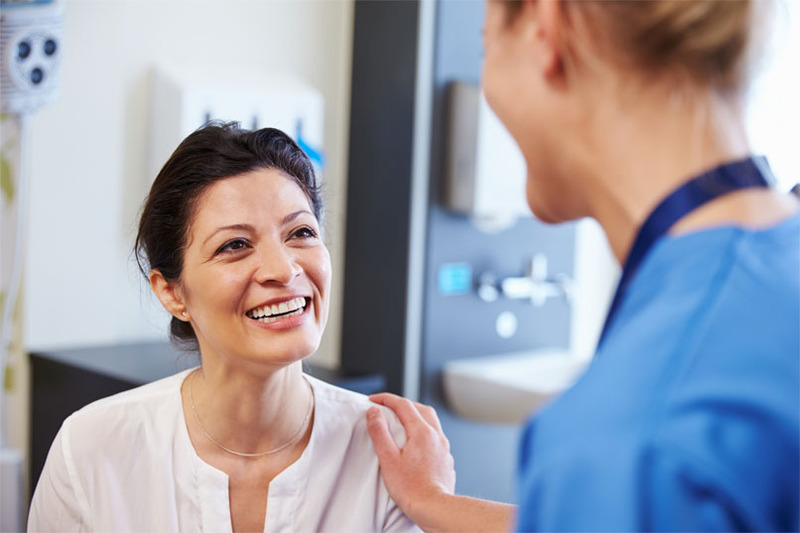 If you feel happy and confident in your choice, you will be less stressed about undergoing the procedure, which will make your recovery time easier and lead to better outcomes. Any surgeon you choose should make you feel relaxed and respected, and put your goals and needs first. He or she should also project confidence, compassion and empathy, and demonstrate good communication skills by being friendly, open and approachable. The best cosmetic surgeons will be up-front and honest with you about the realistic outcomes of your desired procedure, including both pros and cons of the procedure. You should never feel rushed or pressured into making a decision at any point of the process. 5. Is the surgeon affiliated with a hospital or accredited surgical facility? Before undergoing surgery, you want the reassurance of knowing your doctor will have access to a full complement of medical equipment in case there are any complications during the procedure. That’s why you should always be sure to ask where the doctor will be performing the surgery, and double-check that the facility is accredited. If the cosmetic surgeon lacks the hospital privileges to perform the surgery you are considering, you should choose a different doctor. 6. Does the surgeon take time to meet with you in a private consultation? Before undergoing any cosmetic procedure, arrange a one-on-one meeting with the surgeon. This meeting is your opportunity to communicate your desires and discuss any questions or concerns you have about the process. Come prepared with a list of questions to ask your surgeon while you’re face-to-face. Remember, there’s no such thing as a “silly” or “worthless” question – especially when you’re considering making a large-scale change to your appearance. You don’t want to go into the surgery with any lingering doubts or regrets, so don’t feel shy about speaking up. 7. Do you understand all the costs associated with the surgery you are considering? Your pre-surgical consultation is also your opportunity to ask for a breakdown of all the fees associated with the surgery. Make sure you get up-front pricing and that there are no hidden costs. Remember, your health insurance won’t cover elective procedures, so ask about financing options, interest rates and any available incentives, as well. 8. Is the doctor’s office clean and modern? From start to finish, every interaction you have with your potential doctor should be positive, and that includes the appearance of the office. If anything appears dingy, unsafe or run-down, consider going elsewhere for your treatment. 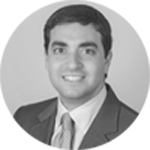 Dr. Fadi Constantine is a leading cosmetic surgeon in Dallas, Texas. Having been trained at the most rigorous, prestigious and progressive plastic surgery programs in the world, he applies his expertise and unique surgical philosophy to every procedure he undertakes. 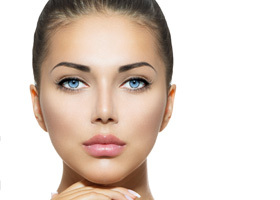 When it comes to picking a qualified cosmetic surgeon, you have an important choice to make. Contact our office to schedule your personalized consultation – we’d love to hear from you.